Grüezi! 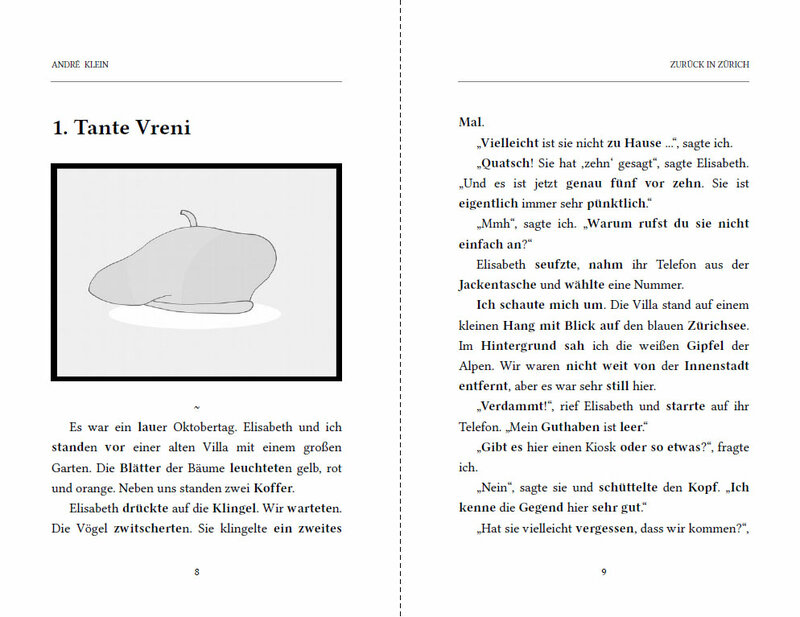 Take your German to the next level and boost your vocabulary, reading comprehension and grammar sense with episode 8 of the bestselling Dino lernt Deutsch German short story series for beginners! Following their Walzer in Wien, Dino and Elisabeth are off to Switzerland to visit extended family and enjoy some fresh mountain air but soon find themselves caught up between high-end expenses and a strange exercise in escape artistry. While reveling in the beauty of Lake Zurich, the old city and the alpine view, Dino grapples with the incomprehensibility of the Swiss dialect and reveals a surprising aspect about his girlfriend’s family. 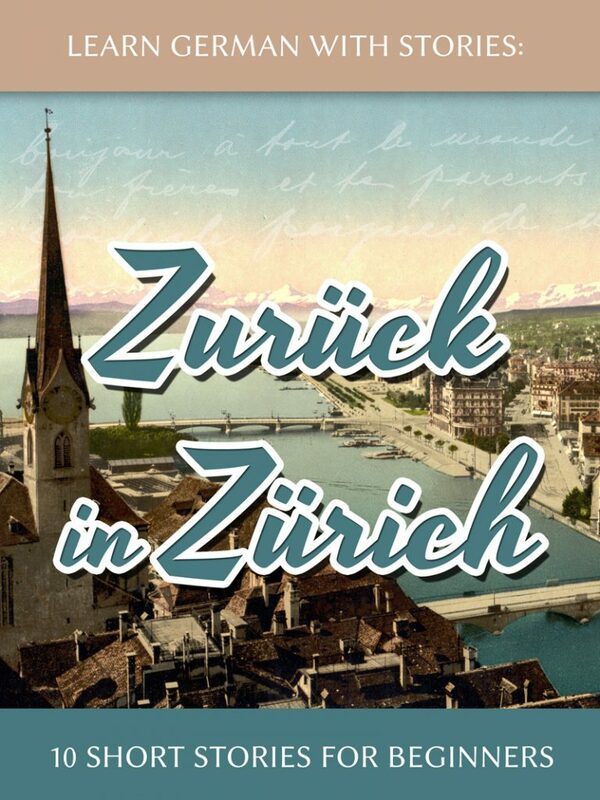 Explore Zurich, learn about local customs and culture and improve your German effortlessly along the way! 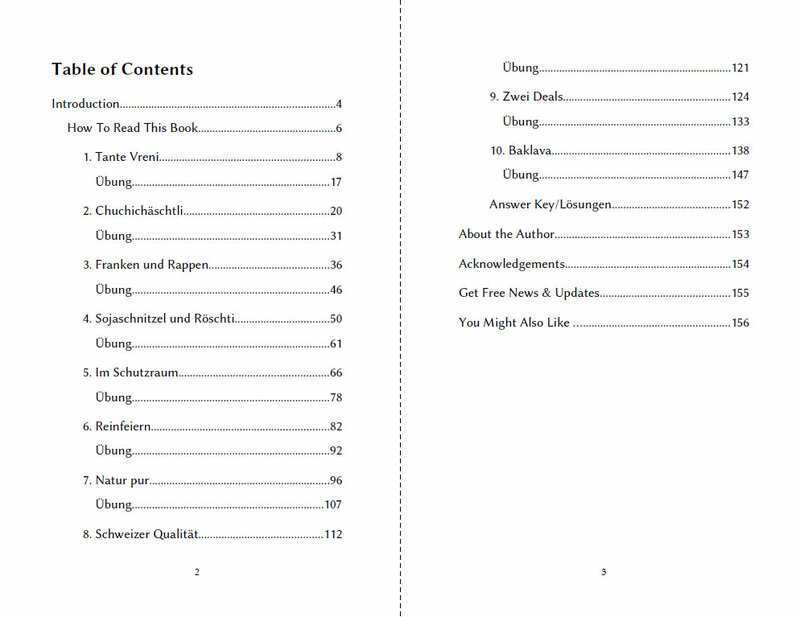 Just got started learning German? Memorized a few words but struggle with longer texts? We’ve all been there. This book is designed to help beginners make the leap from studying isolated words and phrases to reading (and enjoying!) genuine German storytelling. Yes! That’s right. 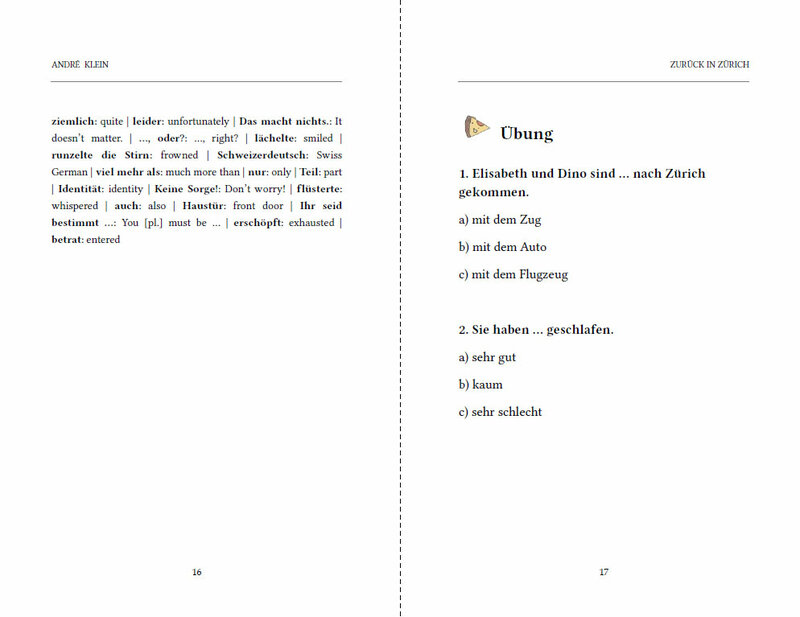 This is the eighth episode of a whole series of exciting German short stories for beginners. Follow our protagonist to Frankfurt, Cologne, Hamburg, Vienna, Berlin and many other cities! Before you know it, you’ll have travelled half of Europe and picked up more German than years’ worth of expensive courses.